Daffodils -The harbingers of Spring! 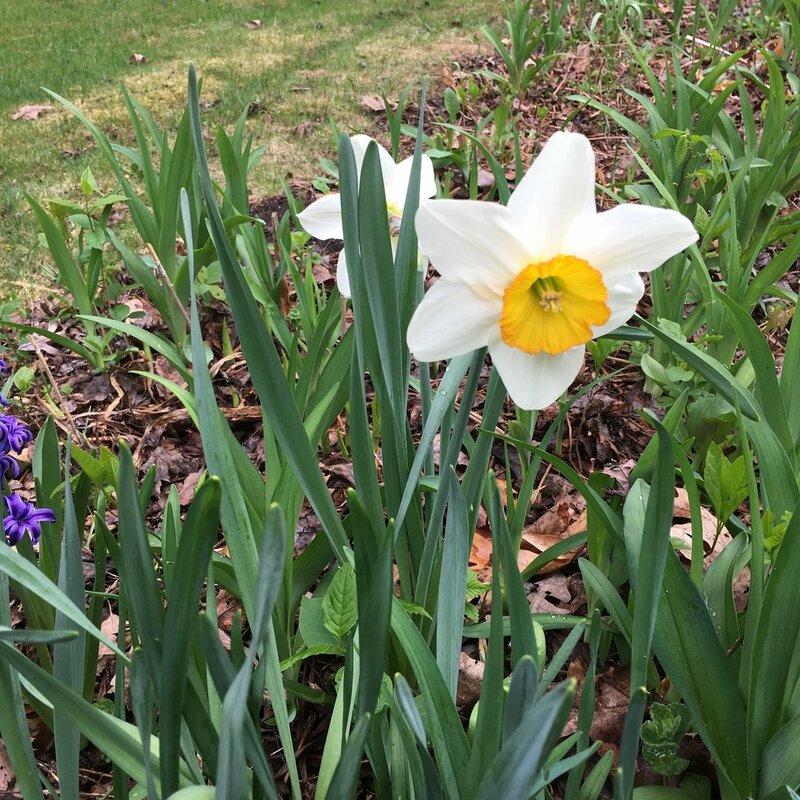 The beastly snow pile on my lawn is finally shrinking and tender green shoots are peeking through my dormant flower garden, announcing spring's eminent arrival. Every spring I marvel at the resiliency of nature as it shakes off the deathly harsh grip of winter. It is planning time for gardeners and there are plenty of help available. Before making any purchase, I rely on online publications and websites to provide me with guidance in creating my garden's summer appearance. Armed with ideas and information, I then browse the local shops for my favorites. Bright as a sunshine smile! Plan on putting those herbs in a refreshing iced tea, add some rum, gin or tequila for an adult boozy version and toast your garden success. Home Depot Garden Center: Tips for garden design, theme choice and trends. Fine Gardening: Resource for plant guides, garden prep & design and DIY projects. Better Home and Gardens: Tools for organic gardening, container gardens, design, plant purchase, handling pests and more. Big Box stores: Costco, home depot, Lowe's offer a large variety of plants and gardening supplies in season.